Several lawyers in Ontario have notified us that they have been contacted by the purported Tammy Brewer (sometimes it is Tammy Schwartz) with regards to a divorce settlement agreement dispute. This is a fraud we have seen before under several other names and similar scenarios. For details on how this fraud works and a full list of names attached to it see our Confirmed Fraud page. Good day to you and thanks for responding to my email. Please pardon my late email response as my condition does not allow me to stay long on the computer. The consultation fee shouldn’t be a problem, kindly send me your firm fee / retainer agreement for my review and if OK upon receipt, I shall make immediate provision for the fee. 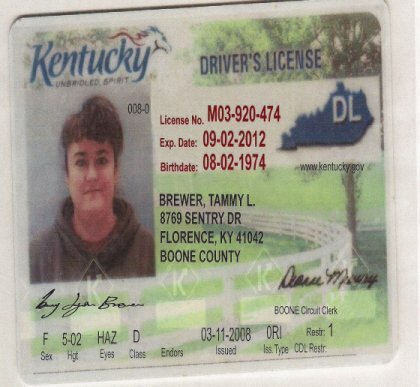 My name is Tammy Brewer. My ex husband and I agreed under this out of court Collaborative Law Agreement for a onetime cash settlement of $578,000. 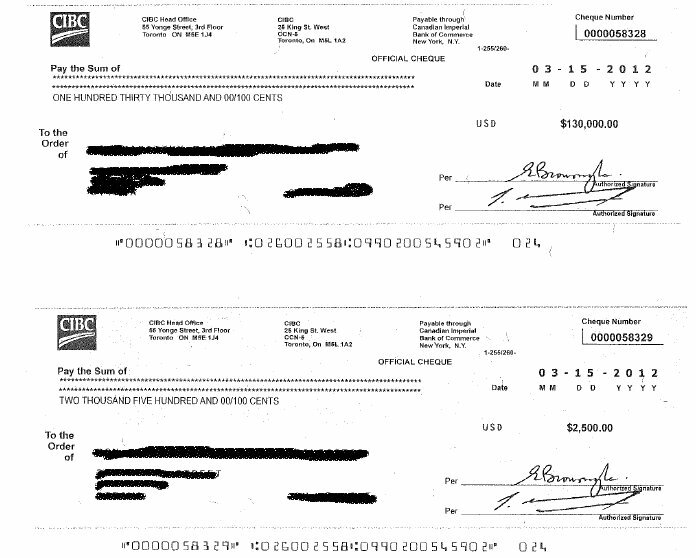 To his credit, he has paid me $78,000 but still owing $500,000. Ever since, he has refused to come up with the balance giving one excuses or the other. I expect this to be a non-litigation matter. I have already advised him I am planning on retaining a legal firm to litigate this issue if need be. The lawyer that helped me with the matter had passed away due to cancer illness. I was advised to seek legal assistance in my ex husband new jurisdiction (ON) which is why I contacted you to act as my counsel in retrieving these funds. Different payment dates have been promised and I still have not received anything. My last contact with my ex husband, he told me I would receive payment not later than Mid November 2011 and till now, nothing has been paid. Please do get back to me so I can furnish you with the required details to contact my ex husband on my behalf as I know he respect law firms and do not want to be carried to court. Before we proceed kindly forward your fee/retainer agreement for my review and if okay upon receipt, I shall make immediate provision for the fee for you to begin work. Thank you for your anticipated co-operation and understanding. Contact me should you require more information. I have attached here a copy of the CPLA and proof of partial payment for your peruse. My ex husband name is Brian Smith. We have to run a conflict search and then we will prepare an engagement letter for your review. You will also have to complete a client information form and forward a copy your identification as part of that package. What is your ex-husband’s profession? I do not think this matter will result to litigation as he is not disputing the claim neither did he want to contest it. All I am seeking is a reputable law firm like yours to act on my behalf as I am sick of his various excuses. He got properties here in KY, MI, and in ON as well. He is well to do business man but just wouldn’t want to come up with the balance on time as agreed. He agreed to pay but kept giving me numerous excuses and turning me around. Each time he noticed I am about to seek a legal counsel to sue for breach of the agreement we had, he always come up the notion that he want to pay and the moment I cool off, he won’t come up with the payment. We chose Collaborative Law Process to reduce emotional and financial cost and the agreement is binding and enforceable anywhere as stated in the CPLA. He emailed me agreeing to pay after I notify him of my intention to sue him for breach of the agreement we had. He had previously made several promises to come up with the payment and none he ever kept and that is the more reason I told him this time around, I am seeking a legal counsel that will retrieve this funds from him and if need be, litigate him for breach of the agreement. I am seeking a counsel basically because it is taken longer for him to come up with the settlement as agreed on the CPLA, and I know with a counsel involvement, these funds will be release as soon as possible without going to court. After I notify him of my intention, he had requested for your firm contact details to enable him establish contact with you and set up an arrangement on how to remit the money he owed as I have instructed him without delays or possible litigation. Kindly send me your firm fee / retainer agreement for my review and if OK upon receipt; I shall make immediate provision for the fee. Thanks as I look forward in receiving the agreement. Ok. What we will propose in the engagement letter, is for an initial monetary retainer of $1,500 Canadian (hopefully, we won’t need to spend it all, but if litigation is necessary, we will require an additional retainer at that time). Agreement received. I shall be reviewing it and get back to you soon with the signed copy and if OK, I shall make immediate provision for the fee. Also note that I have already given your firm information to my ex husband as he have requested for it to enable him establish contact with you and also make an arrangement on how to remit partial or full payment without delays or possible litigation. He emailed me stating that he does not want to be litigated and that he is willing to pay. I have asked him to contact you to discus to that effect. Thank you once more. I shall get back to you soon after my review of the agreement. Good day to you. Sorry for not getting back to you soon as promised. Work has been highly demanding over here lately. Attach is the signed copy of the agreement. This is to inform you that a retainer fee for $1,500 as requested had been mailed to your office; also my Ex Husband had just confirmed to me that he has made a partial payment in the amount of $145,000.00 in your firm’s name without delay to avoid being litigated. I am presently away on a reconstruction contract. I will give you a follow up call as soon as time permit hopefully, within the week. Please note that as soon as you receive the funds, do notify me for further directives. Once again, thank you so much for making this happened. Thank you. We will await receipt and clearance of the initial retainer. Is it possible for you to go to a local attorney just to confirm your identity as per the identification provided. Once we have that and the clearance of the initial retainer, we can open a file. I am presently away on a reconstruction contract in Japan. Since the Tsunami disaster, the entire affected region still in a ruins and I happen to be one of the contractors rebuilding the community. There is no one standing buildings, consulate or office in this area. 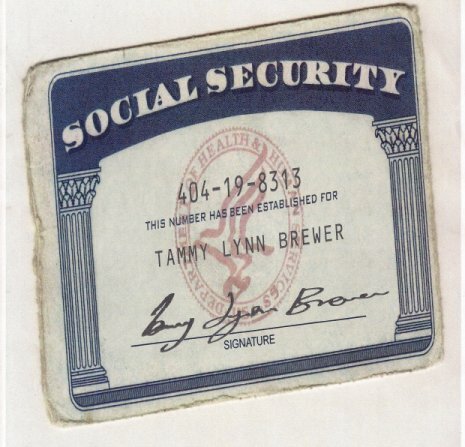 I have attached my Social Security Number card for your peruse. Do let me know upon receipt of the partial payment. I have gotten the same emails from someone purporting to be a Patricia Zimmerman from Louisville, Kentucky. I suspect it is the same person or team. I spotted it as a scam instantly as I found the same verbage online. I asked leading questions, “like what county does your husband live in Manchester or New Haven” when neither county exists in my state. When she asked for a retainer agreement, I found one from a law firm in Australia, and suddenly her husband had assets in Australia. 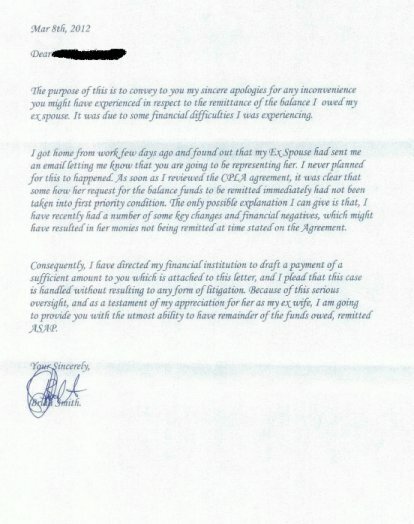 She claims that a retainer from her and a check from her husband was sent (maybe to that Australian firm). I have now demanded ID. 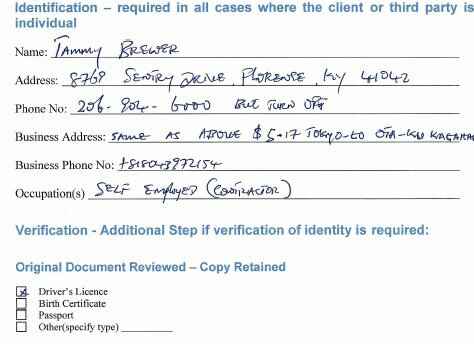 The writing is definately not from a native English speaker, and the agreement attached uses some British spellings even though it is supposed to be an American document. Since is it a scam I am having fun with it.